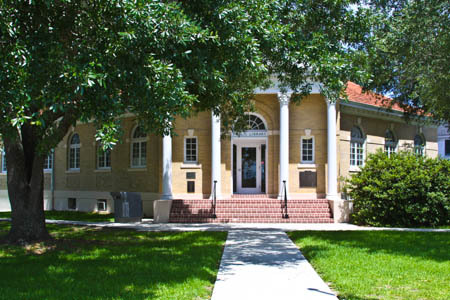 The oldest established library in the state of Louisiana, the Jennings Carnegie Public Library offers to the public a multitude of services and materials in a friendly and inviting environment. The old and the new can be found co- existing here with a large collection of current reading, listening and viewing materials and an extensive collection of archived local history and genealogy-related resources. During the summer (June and July) the library focuses on encouraging children to read by offering a summer reading program with prizes awarded as an incentive. When they have reached 100 books, they receive a certificate. After earning the certificate, for every additional 10 books they read they receive a star on the certificate. In August, a party is given for the readers. Also, story-time is held every Wednesday at 10:30 a.m. in the library. Children from the age of 2 to 5 are invited to attend.